In Rotterdam, an industrial landscape of terrazzo and steel sets the scene for an Italian classic. Launched in 2012 as a food truck business that brings premium, Neapolitan-style pizzas to music festivals and outdoor events, Old Scuola has become one of Rotterdam’s trendiest hot spots since opening its first permanent location in May. When it came to planning the flagship, the owners wanted something different from a traditional pizza joint and turned to Bastiaan Kalmeyer and Chantal Schoenmakers of local studio Instability We Trust. 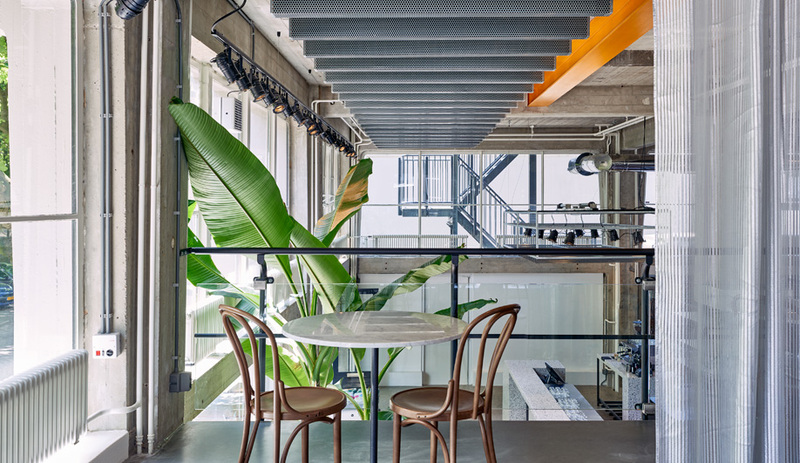 The framework IWT began with was Het Industriegebouw – one of the city’s most iconic modernist buildings and home to many creative businesses, including architects’ offices and the design shop Groos. 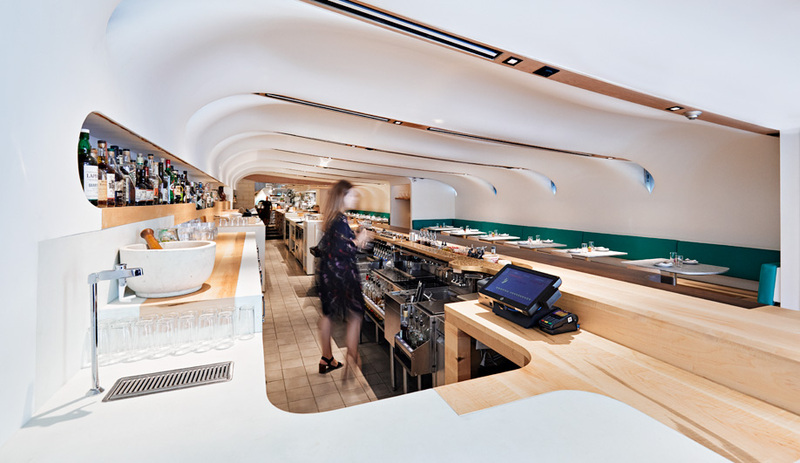 The studio developed a vision for a “spatial machine” that would combine a comfortable dining experience with a high-volume production kitchen, which would double as home base for the mobile business. Approaching with this “factory logic” enabled the designers to focus on three main elements: sound, tactility and light. Wrapped on two sides by double-height windows, the raw space is dominated by exposed concrete. 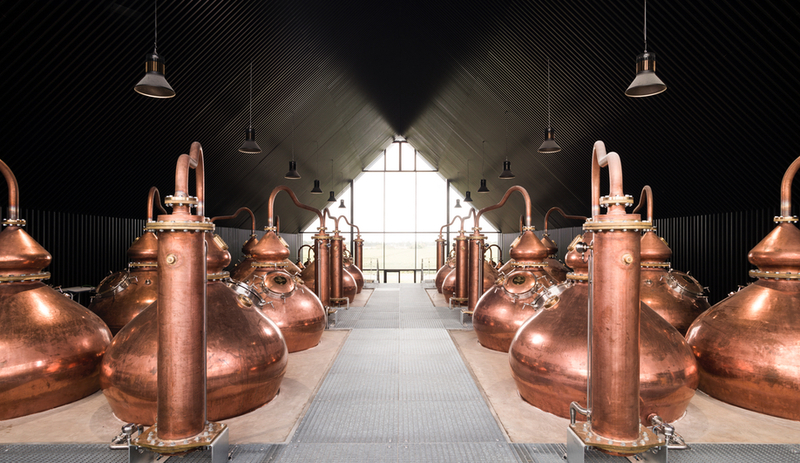 IWT inserted a steel “facility strip” that runs the length of the space and houses storage, bathrooms, two 3,000-kilogram wood-fired ovens, and a metal-clad staircase leading to the entresol. 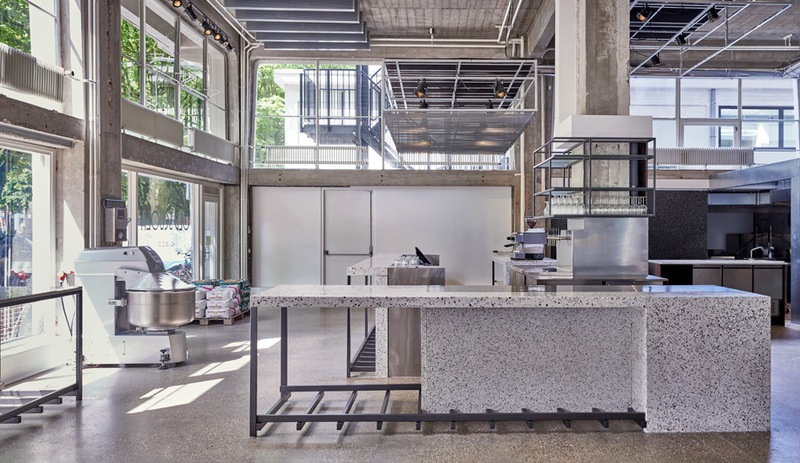 A trio of terrazzo bars defines the kitchen, offering surfaces that are equally poetic and practical. 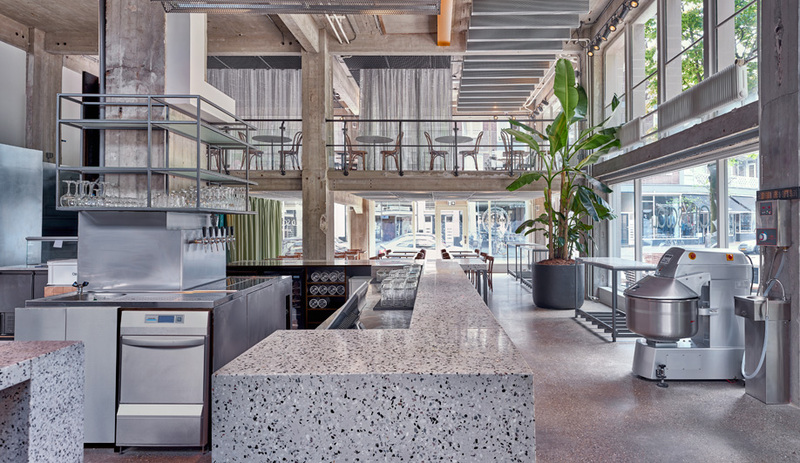 “Terrazzo, besides being a very Italian material, is also sustainable and solid,” explains Kalmeyer. 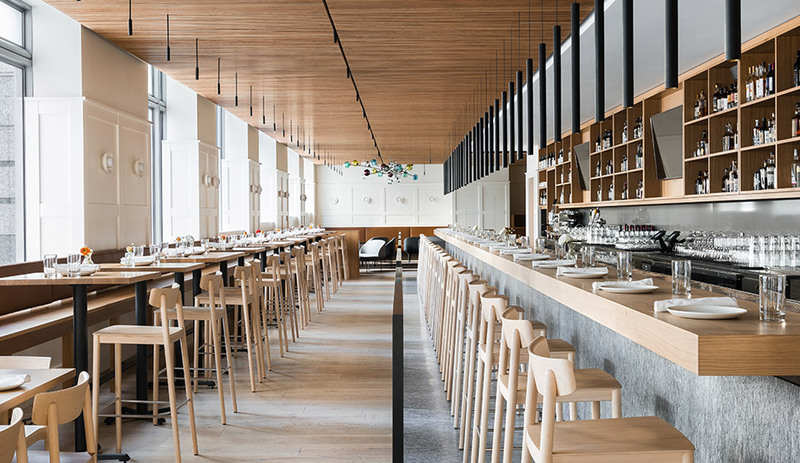 Three different sizes of marble stones create visual playfulness in the countertops, which are made with three-centimetre chips; in the bases, which use a two-centimetre size; and in the back bar, made with one-centimetre grains. This story was taken from the October 2017 issue of Azure. Buy a copy right here, or subscribe to the magazine here. 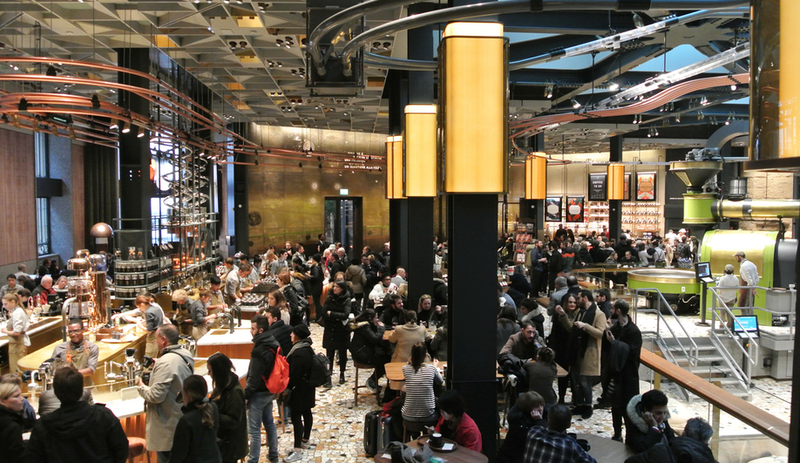 How Do You Say Italian Caffè in Starbucks?